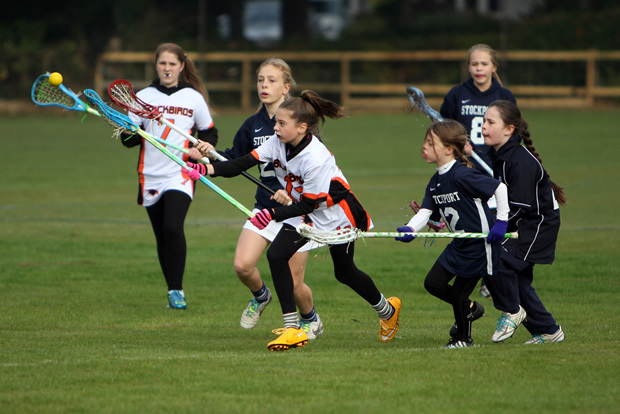 In recent seasons Poynton have embarked on the development of a Girl's lacrosse programme. This is a new section within the club and one which is already proving very successful. Currently fielding a squad in the Under 13's age group in the North West League, we welcome new players from age 7 upwards. 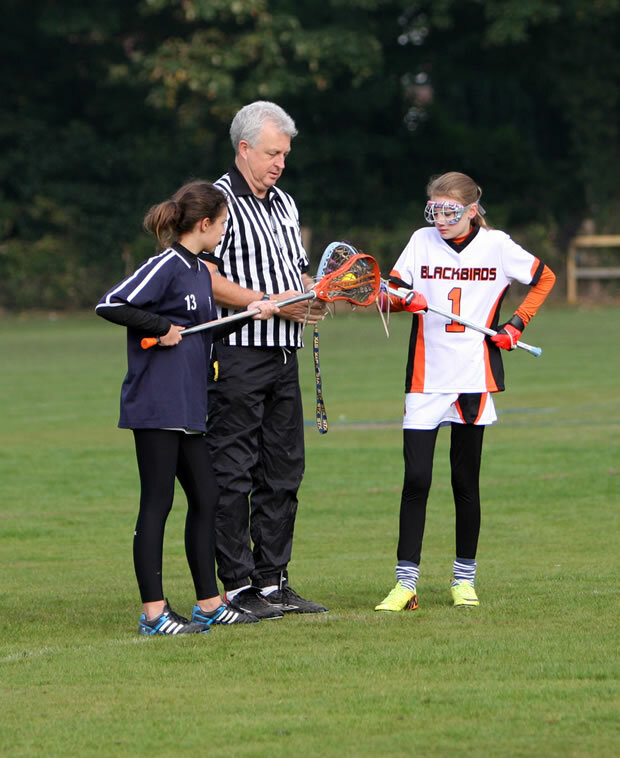 There are also regular opportunities for players under the age of 11 to participate in ELA organised development tournaments which are a great introduction into competitive lacrosse. We hope in future to be able to field an Under 15's team and eventually a Women's Senior team. In the UK, lacrosse is a Winter sport, the season beginning in September and running through until April. Games are played on Sunday mornings and training takes place on Wednesday evenings from 7-8pm at Poynton Sports Club. 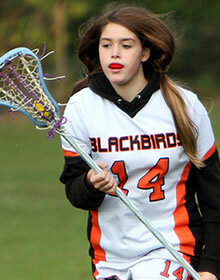 Girls lacrosse is fast, very skillful and full of excitement. At Poynton we welcome beginners of all ages and take pride in offering a safe, friendly environment with qualified coaches where players can develop their skills at their own pace. If you would like to find out more, or arrange to come along for a 'taster' session, please contact Karen Reynolds on 017720 374179 or send a message here.